Last night, I got a job offer for Sunday morning, ergo I wasn't able to swatch the THREE Holiday Coffret today. My next day off is Wednesday, so I'll have the swatches up that evening. I dyed my hair last night, and here is the outcome. 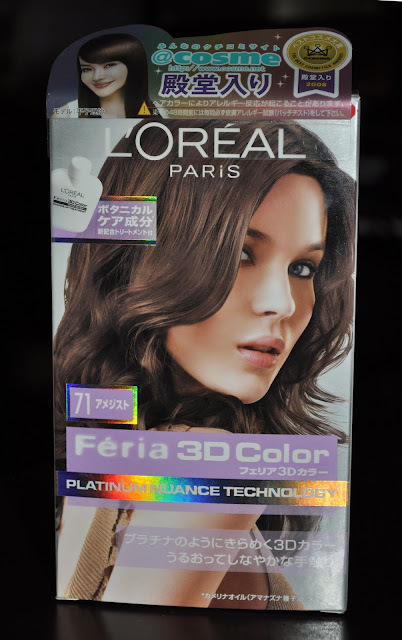 This time around, I chose L'Oreal's Feria 3D Color in Amethyst. 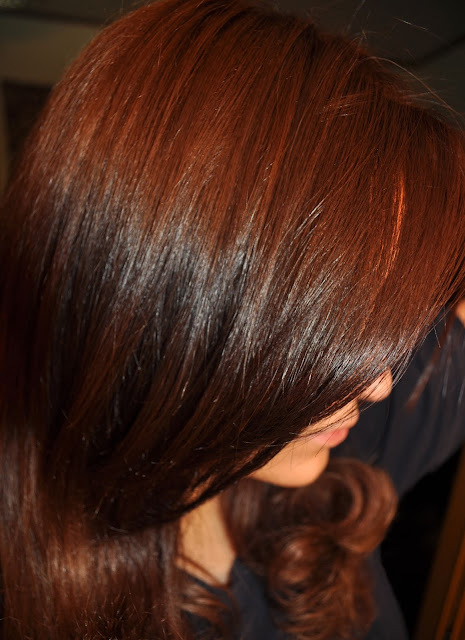 The end result is an ash brown with a slight berry tinge. 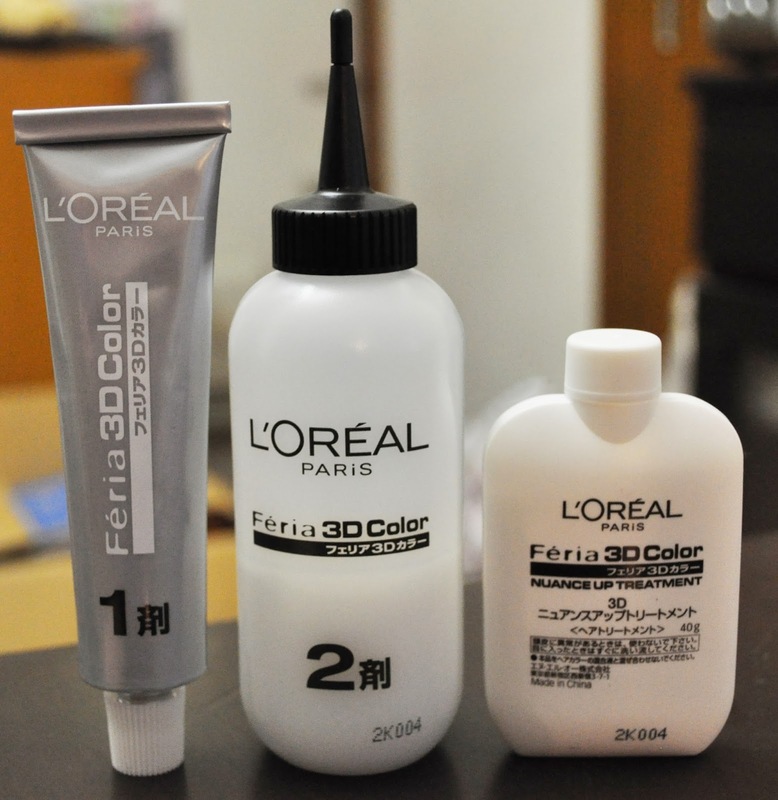 In addition to forgetting to change my camera's setting, and the room's lighting, my hair color is very distorted from what it looks like in person. You can kinda of see the actual color on the lower portion of my hair.